One of the foundation tasks of building resilience into your finances is to cultivate multiple streams of income. There are as many ways of creating additional income streams as there are stars in the sky. It can be as complicated as creating a website or selling online or starting a side hustle or as simple as taking on a second job or, as I’ve discovered, putting your green thumb to profitable use. I’ve always enjoyed gardening. I even completed a tertiary course in Horticulture – just for fun! Getting my hands dirty is definitely part of it but there’s also a certain joy, for want of a better word, in creating a space that can replenish your spirit, provide shelter and nourishment for lots of local critters plus put food on your own table. It’s definitely a win, win, win scenario. A little while back I dug up some raspberry runners that were in places they shouldn’t be. Rather than just rip them out, I removed them carefully, then put them in pots. I’m not sure what I was planning on doing with them or if I even had a plan, I just figured I couldn’t toss them into the compost. So, fast forward a couple of months and I have a dozen or so thriving raspberry plants and nowhere to plant them, so instead, I sold them. I live on the main road leading into my town so there’s lots of traffic on a daily basis. I’ve sold bagged lemons (years ago) from my garden gate and figured it can’t be any different selling plants. So, I dragged out, dusted off and repainted my daughter’s very old chalkboard easel, drew a sign and put everything out the front. I didn’t sell it all but in the few hours my plants for sale sign was out there, I made $19. It might not seem like much but for a first effort, I was very happy with that $19. And, it was much easier to earn than selling my old stuff on eBay or getting a second job plus, this was money for my hobby, an activity I take part in because I enjoy it, not because I have to. 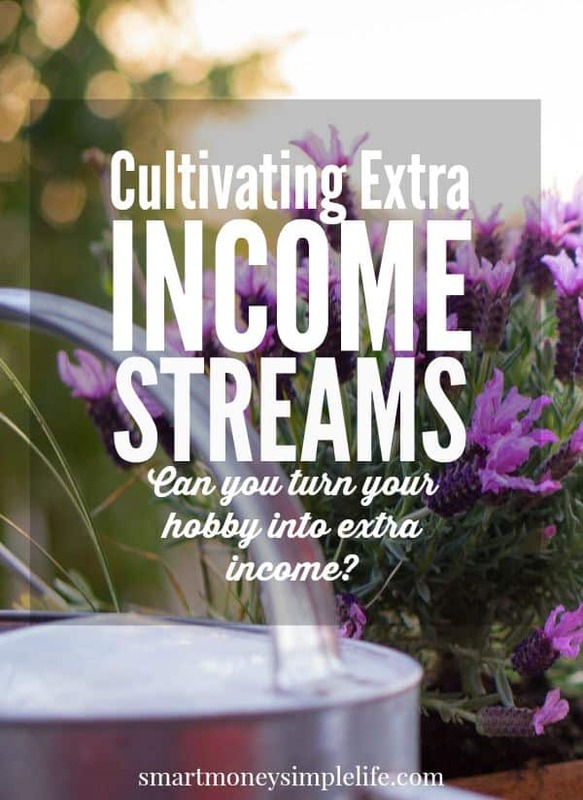 To me, that’s like free money not to mention, literally cultivating an extra income stream! Most importantly, it got me thinking. Yes… dangerous, I know! What I began pondering was, can I make $100 per week by selling plants at my garden gate? Perhaps not in the first week, like any business, people need to know about you and I figure it will take a few weeks for the locals to start to look to see what’s available as they drive past. I think it’s do-able though so I’m going to actively propagate plants with a view to selling them rather than just planting them in my garden. I have more raspberries to rescue from turning into weeds, plus strawberries that are sending out runners and I’ll start propagating from my blueberry bush, too – something I’ve been meaning to do for a while. I’ve also got a selection of herb seeds (that I need to check for viability) to plant. As you can see, there’s a theme here: food plants. There’s a definite shift to people growing food in their gardens and the plant nurseries are really cashing in! 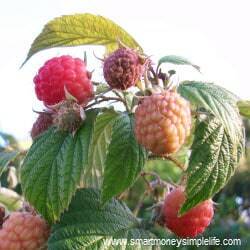 I’ve seen raspberry plants the same size as the ones I sold for a couple of dollars selling for $16 in the local nursery. There’s only one way to know for sure and that’s to give it a go. I think it’s great you made some extra cash selling plants! My neighbor did that when I was growing up. I forget what she sold but she was constantly growing them and selling them. Definitely not a new or unique idea but it works! Thanks Hayley! I think gardening is both art and science. The first might require something innate but the science – anyone can learn. Don’t give up. Thanks Sheila. It’s a great way to put your hobby to work! I think it’s great that you made $$ from your love of gardening — even $19 helps when things are tight. I haven’t sold many plants yet, but I have traded them for various things. Just a heads up for others thinking of propagating plants: many new plants and hybrids are starting to come with a note on the tag that states they are not allowed to be propagated and sold. Yes, you’re right. In Australia there’s Plant Breeders’ Rights (PBR) which will be clearly visible on the label if you’re buying the plant at a nursery. The rights last for 5 years – I think – and the plant can’t be propagated and sold commercially during that time. I’m too cheap to buy PBR plants so I’m safe there. But, if you’re making or growing anything to sell it’s imperative you check to make sure you’re legally entitled to do so. Thank you for raising an important point, Nikki.